The Summer University is AEGEE’s most famous project. Starting in 1988, ten thousands of students participated in at least one of the many courses. One of the most successful this year was the SU “Shardana: Sardinian Legends”, organised by AEGEE-Cagliari from 2nd till 13th of August. 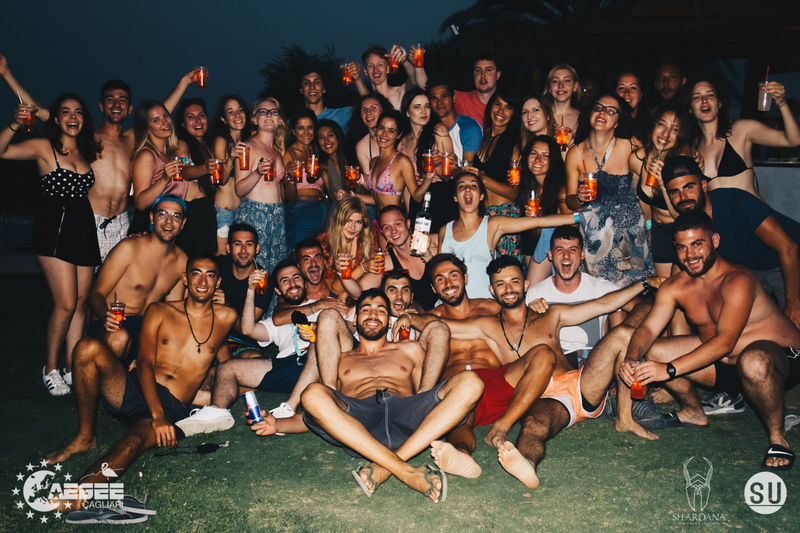 Main coordinator Antonio Pintus and Lorenzo Ligas, content manager and PR responsible, told the Golden Times what made their event so special. Prizes for the great organisers: Lorenzo Ligas, Eleonora Murru and Antonio Pintus (from left). 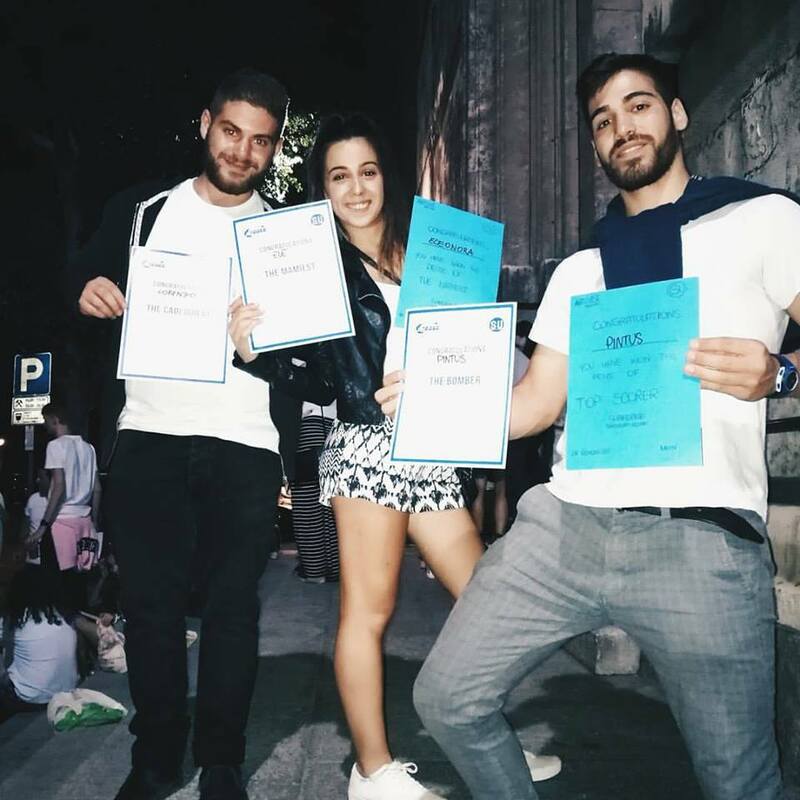 Antonio Pintus: We had 29 amazing legends and a big group of 18 motivated organizers plus one very precious helper from AEGEE-Ioannina, Vasiliki Andrioti, who has been in Cagliari before the SU already three times: participant in our SU 2016, participant in the NWM 2016 and participant in one Erasmus+ project this spring. GT: What was the SU about? And how successful was it overall? Antonio: The SU was about Sardinian culture and history with a special focus on the Shardana, ancient warriors. We are really satisfied about the overall success of the Summer University, and especially we are happy that the group really bonded. Lorenzo Ligas: I am really satisfied by the outcome of the sessions “What is AEGEE?”, “Spreading Europtimism” and “Youth Mobility”, in which interesting and constructive discussions were born. GT: What were the greatest programme highlights of the SU? the trekking we had in the Devil’s Saddle, followed by an aperitif on the top of the hill, from where it was possible to admire the Gulf of Angels and the city. the visit of the protected area Molentargius, a saline regional park, where hundreds of flamingos can be spotted. 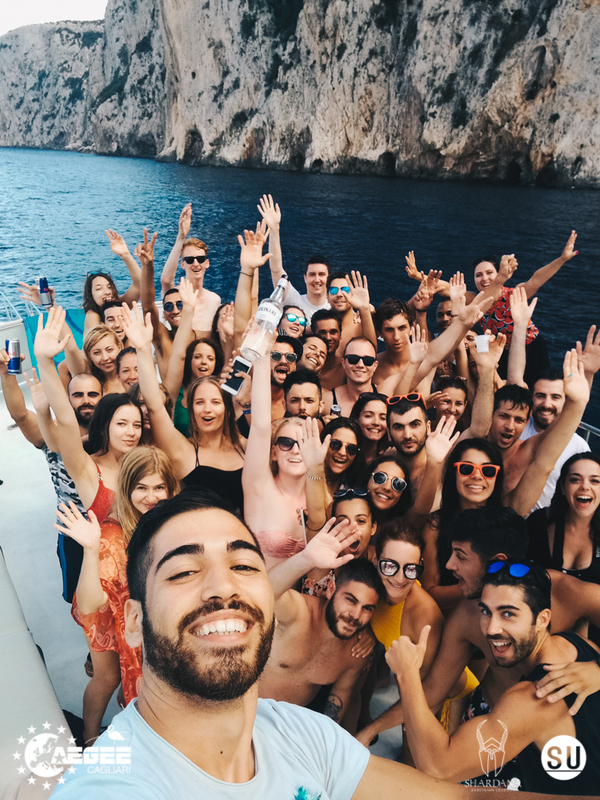 Antonio: The whole event was extremely fun, but if I have to choose a few moments I would say that the boat party in front of the Devil’s Saddle in Cagliari during the sunset was really exciting. And for the funniest moment everyone would agree that it was the pool party we had on the fourth day. We had a pool just for us with a barbecue area. Everyone went totally crazy during this party. The day after, almost everyone was named in the gossip box! We can totally say we can divide the Summer in two parts: pre pool party and post pool party! Lorenzo: during one of my sessions a group of participants was using a water gun to shoot people that were not focused. It was really funny to see that! #Sleepingaegeeans were not allowed! In one of our nights in Baunei, we were supposed to have a chilly party in the lodging, but at a certain moment everyone started to get crazy, organisers first! We put the speakers to the maximum, had one latino playlist, and the situation became hot and incredibly funny! ‘’Fortunately’’ we were interrupted by the police, otherwise a no-sleep night would have come! Finally, the dress exchange party was also an hilarious moment. Boys dressed like girls, and girls like boys! We were all laughing really hard! At a certain moment, the situation got absurd, because we realised we weren’t alone in the building: we had to share a part of the accommodation with a local folk group which was really surprised because of the unusual party. They are probably still wondering what was going on there! After the dress exchange, we had a crazy rooms crawl, with very spicy tasks! Antonio: The group is decisive in order to have a good SU, and I could not have asked for a better group. We didn’t even need so many ice-breaking games, because our participants were open and friendly from the beginning. We had a lot of fun! I am happy also because our participants were always involved in our activities and thanks to their understanding attitude the programme went easy, even when we had to change it because of bad weather. GT: How was your cooperation in the organizing team? Antonio: The organizers’ team always managed to face the situations with extreme determination, always giving 200% of dedication. So organizers and participants together made an explosive group! Happy SU participants and organisers during the legendary boat trip. GT: How was the romance factor of the SU? Where there many couples and what were the highlights from the gossip box? Antonio: As usually in AEGEE events, different cultural heritages were perfectly mixed together. The climate was happy, funny and chilly, and everyone was integrated in the group. I am very satisfied of the result of the event, everything went better than expected! After having spent all these months working with dedication and passion, the best reward is the happiness of both participants and organisers. Our goal was to make our participants happy and to give them an unforgettable experience that will last forever. This is what we took home: an incredible Summer University, in which everyone had a special place. Lorenzo: This event was absolutely amazing, probably my craziest one! The atmosphere of this Summer University was one of the crucial reasons for me in order to candidate again for SUCT in Autumn Agora Catania. I want to give my contribute to one of the best projects we have in AEGEE!